That’s key to success my friend! I've done some research and today I'm going to share about the foreign exchange market also known as Forex, FX, or Currency market, that help international trading and investment by enabling the tremendous currency conversion. Forex market is different from Stocks market. Let’s see what Forex and Stocks market means. The forex market is a currency market where people trade currencies. When you own a currency which you have purchased in the Forex market, you own the currency not a piece of that country. The Stock market is a market where people trade stocks. When you own a stock you also own a piece of that company. Do you understand what I’m saying? Good! eToro is the world’s largest social trading and investment network, offering traders easy access to the currency, commodity & equity markets. Forex is the most liquid financial market on Earth. Traders include large banks, central banks, institutional investors, currency speculators, corporations, governments, some financial institutions and retail investors. The forex and the stock markets are both available Non Stop from Monday To Friday. Saturday and Sunday the market is closed. In the Forex market you can trade for example EUR/USD when the Tokyo Forex centre is open and the European and American Forex centres are closed. But you can’t buy the stock of a London company that is listed on the London Stock exchange and not listed on the Tokyo stock exchange. Currencies are bought and sold in a Forex market where there is no physical building to house the market but instead is a network of computers linked to large financial institutions, banks, retail traders and brokers . Currencies are not kept anywhere and there is no physical exchange of an asset because everything is done electronically. Remember that everything is done electronically. Stocks are bought and sold in a stock exchange. Each stock exchange has a range of stocks that are listed on it. You don’t have to go yourself to a stock exchange to buy or sell stocks but you have to buy and sell stocks through a broker that is attached to the certain stock exchange. Because both the Forex market and the Stocks market are electronic markets the price changes can be tracked and immediately known. Forex trading can be very profitable. Making money with currency trading is one of the hottest online jobs nowadays. Do Not Use Get Rich Quick Schemes : Unfortunately there are many people who try to get rich by promoting some miraculous ways to make a lot of money in the Forex market. Always remember that a trader to be successful must educate himself about the market and use the gathered knowledge to trade and profit from it. Novices Avoid Day Trading & Risks : This may sound stupid but is true. Long term trades are recommended for novices. Some novices are convinced that day trading is the best form of trading. But they will discover that day trading is riskier than other forms of trading currency and requires the expertise of an experienced trader who is able to make fast trade decisions. 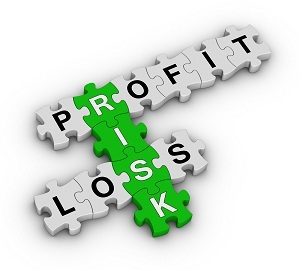 If a trader learns how to minimize risk he will be able to profit from his trade. Your Own Trade Plan & Trading Signals: These are all that a trader requires. It is better to have your own plan that is easy to understand as there will be fewer breaking points. Remember that trading signals help the trader to enter and exit the Forex market with ease and profits. Long term trades with better profit potential are the best for any retail trader and having proper safeguards is essential to any trader. In the Forex market traders can make big profits but let’s not forget that in the same manner they are also liable to make big losses. No joke! Pay close attention when you start invest money! The risks are always present no matter what trade is running. Chosing long run traders minimize the risk with deeper knowledge of the market and proper market analysis. Fundamental analysis of the market help a trader to choose which currencies to trade on a daily basis. Technical analysis of the market help a trader to find the best times to enter and exit the market. Always trade with money that is set aside to trade with and not other funds from your living expenses. A trader who has no trading plan risk of burning out with no money left to trade. Certainly you don’t want that happen. In case you have a question or you want to share something feel free to leave a reply. Do you have a question? Please leave a comment!